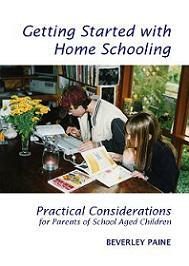 Often I am asked by parents interested in homeschooling if it is important to have a computer. Personally I think it is, but only because I'd be lost without my glorified typewriter, and it has given me the opportunity to desktop publish several newsletters and books and begin a business! 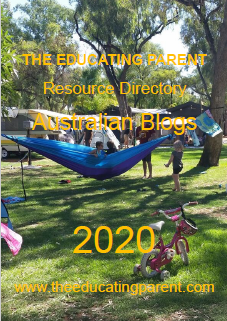 Ask my children and they would say yes - for two of them I can see careers looming, and the other one wouldn't think of completing assignments by hand. Roger and Thomas love playing computer games and April would be lost without her internet connection to the very many email friends she has made. None of my children use computers in the way that schools believe educationally advantages them though. My children use their computers for social reasons, for fun, or to make money. Occasionally we may look something up on the CDROM encyclopedia, but we are more likely to use the ancient out of date set on the living room book shelf. It is quicker and easier to access. Especially the atlas! And since we seldom do project work the boys rarely use the computer for desktop publishing, but I have found that when they do they know how, and do an excellent job, simply because I do this kind of thing all the time and there is a living example to follow. And we haven't accessed educational games in years for learning purposes. They were never much fun anyway. There are millions of such educational programs on offer in the wide world of commercial education. Many of them can be found as shareware programs, and most are as good as the expensive licensed ones you buy. Shareware should be registered, usually for a small cost, if you continue to use it, but we have found that most of the educational games have an incredibly limited shelf life with the children. 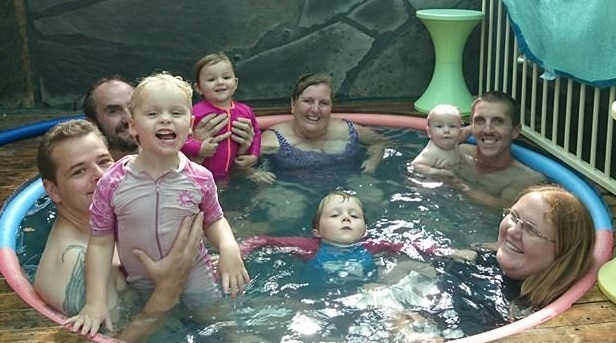 The games the children have continually accessed are never ones sold as educational games! 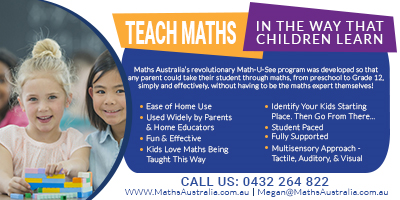 We have learned to see the educational value in these games though, and because they haven't been designed with only one, two or a few goals in mind, and tend to be incredibly complex in nature, really challenge the children to learn and grow. Many of these games take quite some time to master, and are often way out of my league! The Internet is often quoted as a reason to get a computer in the first place. Access to the Internet is perceived to be the gateway to all knowledge, with computers acting as an interface to the rest of the world. Use of portable computers are becoming trendy, especially in schools. The truth of the matter is that computers still haven't been integrated into the school curriculum which looks very much as it did decades ago - more often than not computers in schools are used a substitute teachers, using computer games to teach basic drill in reading, writing and arithmetic. Such children are being offered an inferior education and deserve better. At best computers are used for researching topics from the Internet and for communicating with other children around the world. In between these two extremes is using computers as desktop publishing machines - building up valuable skills in collating and presenting information. A bit like doing projects and typing in the old days! 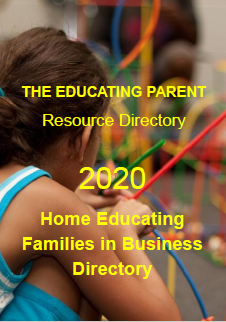 Homeschooling families often use the Internet to download information and activities in any of the curriculum subject areas. There are millions of specialist sites that range over just about any topic you care to think about. 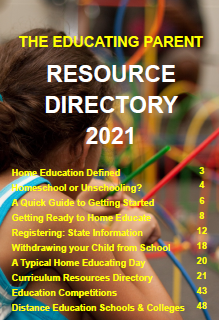 Many of these are educational - with time and a little research under your belt it is possible to download a day's worth of homeschooling work for your children! Whether this constitutes a good education is debatable, but you won't need to purchase any more work or text books for your children if you have access to the Internet! 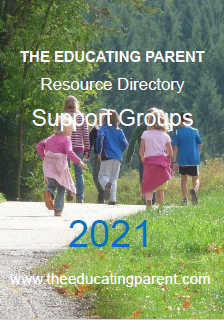 Some homeschooling users have compiled huge directories which you can receive regular updates about to help you find current and useful web pages in almost any subject heading. 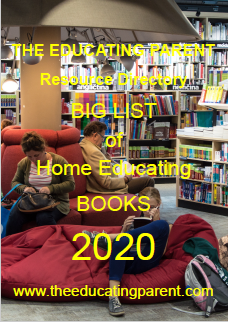 Add to this the huge array of support networks for just about any kind of homeschooling family and you have a very valuable homeschooling resource, with answers and help only a key stroke away. Some people have claimed that improved access to computing technology with the resultant improvement in skills using it are pushing learning to higher analytical levels, simply because a lot of the tedious elements have been eliminated. The claim is that students now spend more time analysing data than spending hours gathering it. I haven't seen any evidence of this, knowing how long it takes to gather data from the Internet, but do agree that the speed with which a computer can make mathematical calculations and present information for analysis must have some affect. Children do seem to be operating at more sophisticated levels of thinking than in the pre-computer past. Our models of thinking have changed to accommodate the information processing age. When I watch my children play computer games, often with complex levels, complicated data, multi-players and thousands of variables I marvel at the speed with which they react and process information, seeking and finding solutions in a flash, drawing on graphs, charts and memory for information. I feel old and ancient beside them, an abacus next to a calculator! A while back there was much buzz about 'virtual reality' but it all seems to have gone quiet. No doubt somewhere scientists are conducting experiments using virtual worlds, as we all know about the global warming predictions made on computers using collected data. Some optimists prophesise the establishment of virtual classrooms even... but I can't see that happening. At best on-line education is a poor cousin of correspondance education, and the quality of correspondance education is still far below anything found in a classroom with face to face teaching. It is proving far more expensive than anyone imagined, and break throughs are needed to take it to the next stage. For the time being on-line education is the same as reading a book, but on the scene instead of in the hand. Computers have challenged one element in education though. Even the ancient Greek philosophers realised that problems would arise because of the sheer mass of information available. Part of the teacher's changing role in education is that of a facilitator as much as a dispenser of information.... The emphasis in education will change over the next decade, and quality educational services will be those that reflect this changing role from one of mostly passive instruction to active facilitation of information gathering. Children will be encouraged to make meaning of the world from the vast array of information available to them, in much the same way we did it for millennia without the walls of the classroom to guide us. Children will be given back the communities they live in to learn from, first by being offered the world via the Internet, and then by making real connections to apply that knowledge. In this homeschoolers already lead the way, with or without computers. Buying a computer for your children will only be as good as you are prepared to make it. It isn't necessary to have a computer to learn or progress in the modern world, but it is a great tool, a great entertainment machine, and a fantastic way to communicate with a great many more people than you would normally meet in a day. A computer, misused or abused, will become a definite pain, can swallow vast amounts of money quickly and cause many internal family problems. I'd advise anyone thinking about getting a computer to consider their reasons carefully, and if their needs can be served by other technology more comfortably, like accessing books, places, people and things then perhaps they should leave computers until later. If you do buy a computer just make sure it is kept in a light and airy room with free flowing air to cut down on the amount of radiation your children will be exposed to. It is important to provide a very good chair that supports the back, neck and arms, and to provide visual stimulation such as a window so that the eyes can be exercised regularly. All computer users need to get up and walk around, go for a drink or a snack, at least every hour. Proper computer care will ensure relative trouble free maintenance - computers hate food, drink, dust and things dropping on them. And don't place your computer next to stereos or televisions - anything that has speakers as the strong magnets in the speakers will damage floppy, hard drives and CDROMS. Ensure that your children lead a balanced life, with lots of exercise, fresh air, playing time, time for conversation with others and other activities and you won't end up with a computer junkie - and watch out falling into that trap yourself!